Gypsum (calcium sulfate) is used to correct mineral deficiencies in water used for brewing. It adds permanent hardness to bewing water; helps establish proper pH of the mash and the wort; and provides sufficient calcium ions essential for enzyme function, kettle protein. 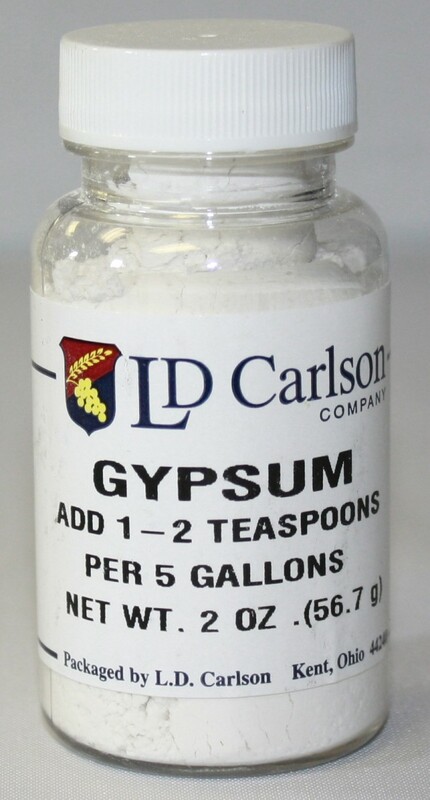 Suggested Usage: 1 gram per gallon adds 62 ppm calcium, 147 ppm sulfate.